I have been competing professionally in barbecue contests for 13 years now. I have tried a large majority of the bbq products out there. Some are good, some are great, and some are just a bad idea. I am very thankful that I have been able to align myself with some great companies and products. These companies and their products are great, I wouldn’t use them if they weren’t. Thanks for your support. Deep South Smokers – simply the best quality and performance smokers. 100% usable interior space, the most even temp’d cooker I’ve ever used. Built by hand in the USA. Look for some exciting new pits in ’17. Grizzly Coolers – I’m proud to be an ambassador for the best coolers on the market. Keeps all of my meats, drinks and injections cold, for a long time. That’s one less thing I have to worry about. Made in the USA. Lifetime Warranty. Try to top that. Master Purveyors – If it walks, flies, crawls or swims – they have it! Not to mention the best competition briskets (A-9) available anywhere. Get in touch and tell Carey I sent you. They ship. The BBQ Guru – Hands down the best thermostat/draft system for smokers anywhere. I’ve been using them since they started back in the early 2000s. Makes minding your pit incredibly easy and produces consistent results. I’ve tried others, this is the best. 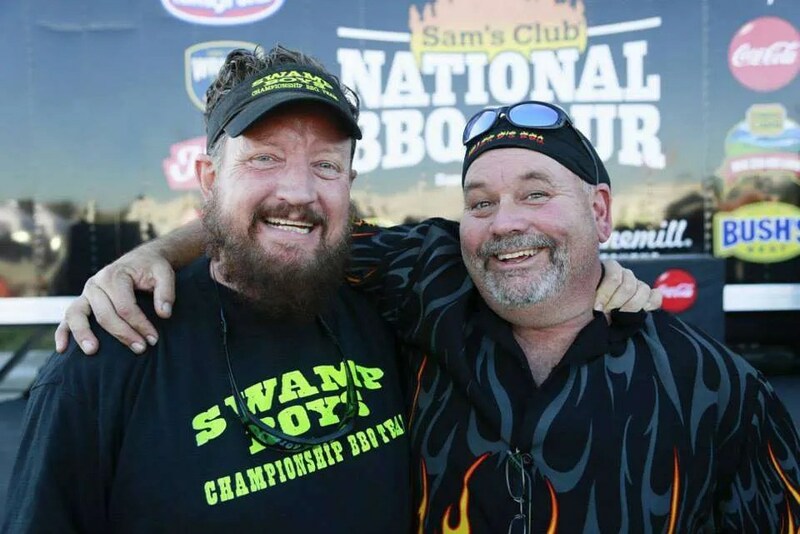 Swamp Boys Rub and Sauces – Yes I sponsor myself. Yes I use my rub (ribs) and my sauce every contest. It works, you should try it. Just over a year ago I was invited by Sterling Ball (aka Big Poppa) to become one of Big Poppa Smokers “Elite Teams”. It was an honor then and one that I am still just as proud of today. In fact even more so. 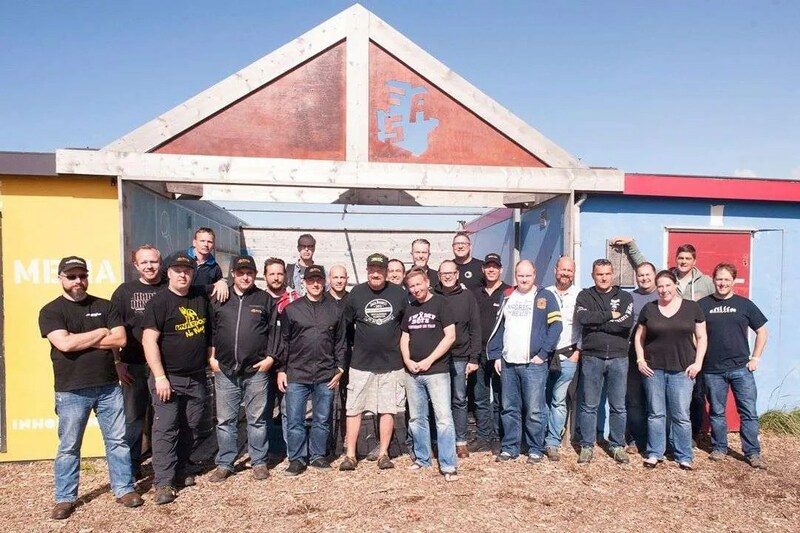 You see besides having access to the best rubs and barbecue stuff on the planet, the Elite Teams get to be a part of something that is even bigger. 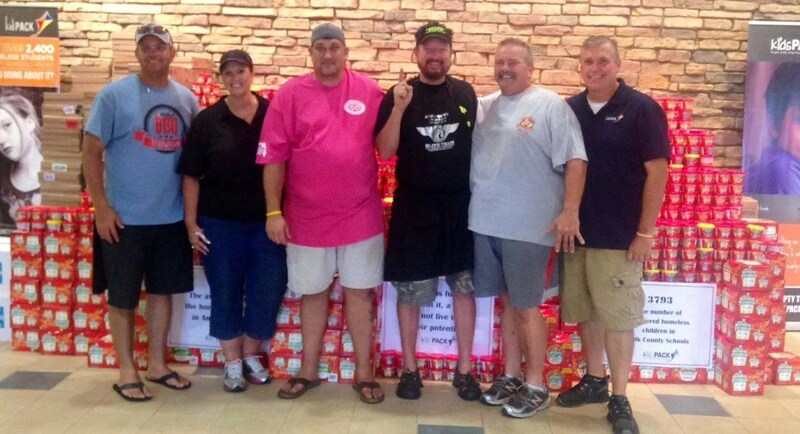 Something that is close to Big Poppa’s heart and believe it or not, even more important than barbecue – helping children in need. At the end of the year Big Poppa Smokers makes a minimum of a $1,000 donation to each team’s chosen children’s charity on behalf of the team. I am proud to announce that last week $1,000 (of $1,500 total) was donated to my chosen charity, kidsPACK.org. This privately funded group packs food for specially identified children to take home on the weekends, and serves as sustenance when they otherwise would have none. All right here in Polk County. And because of the donations we were able to collect earlier in the year, and the money that BPS has given, kidsPACK was able to include the school where I teach in their weekly service. I am blessed to be a part of this. A sincere thank you to Sterling and Big Poppa Smokers for making this possible. Also a sincere thank you to all of the people who answered my call for donations earlier in the year (aka Swamp Boys Nation). It is a great feeling to be associated with people who care, I love you guys. I was honored when Swamp Boys was invited to be a part of the Big Poppa Smokers Elite Team. 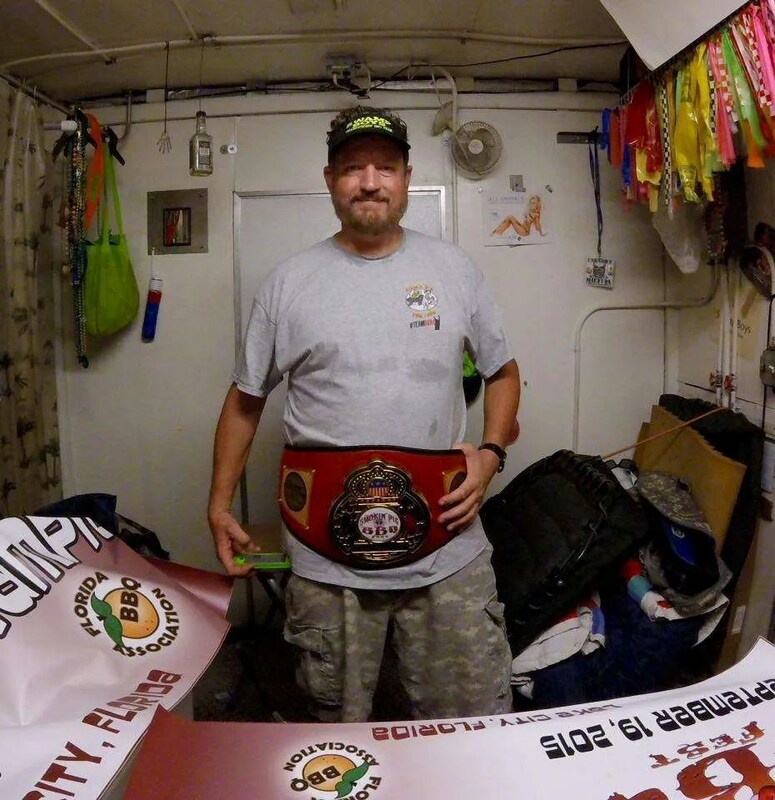 For those who aren’t familiar with it, Sterling Ball aka Big Poppa Smokers formed the team of like minded pro barbecuers from across the country who believe in Camaraderie, Collaboration, Competition, and Children’s Charity. It’s a great group that I am proud to be a part of. What a lot of people don’t realize is that one of the main goals for the Elite Teams is to raise money for children’s charities. That is something Big Poppa Smokers has always been involved with on a big scale, and now they are giving us an opportunity to help out as well. At the beginning of the year, each team chooses a charity that they will be competing for. I have chosen our local kidsPack. In short they help feed the less fortunate children here in Polk County. Surprisingly, almost three in every four students enrolled in Polk County public schools qualify for free or reduced-priced meals. In a Gallup poll, Polk County was ranked as the 3rd worst county in the country for child hunger. There is lots of need right here in our own community. So at the beginning of the season, Big Poppa Smokers starts each team off with $1,000 in their “account”. This is not for the team, but actually represents the minimum amount that team will be able to donate to their children’s charity at the end of the season. All during the season the Elite Teams will be competing against each other via points earned at each contest they cook, similar to team of the year points. At the end of the season the team with the most points will have an additional $5,000 dollars added by Big Poppa Smokers, making the winners minimum donation $6,000. I say minimum because BPS also awards each category winner for the season $2,500 to their account for donation. So in all BPS is putting up $30,000 for the Elite Teams to battle for, which all goes to children’s charities! It’s a win-win: the Elite Teams get to battle all year in a virtual head to head format for bragging rights and raise awareness for their charities, and children’s charities across the country will benefit from the donations. Each one will receive a minimum of $1,000! To keep up with the race, visit the BPS Elite Teams: Children’s Charity Points Race website. It’s always being updated so check back often. And soon it will have a map showing what the teams are doing to help kids through BBQ. It’s a great program and Swamp Boys is proud to be a part of it. Big News for Swamp Boys Sauces! We are happy to announce that starting some time near the end of next week, the fine folks at Big Poppa Smokers – BPS – will be the exclusive online retailer for Swamp Boys BBQ Sauces! 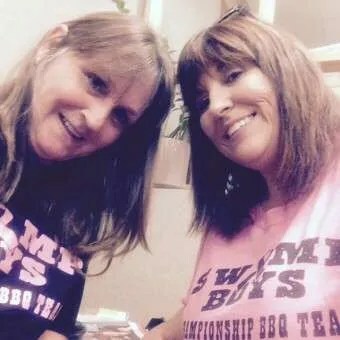 Well almost exclusive, we will still maintain our store here at Swamp Boys and sell along with our sauce, our very popular Swamp Boys team t-shirts and visors. If you’re not familiar with BPS you should be, they are all that! First and most important is customer service, and theirs is top notch. I know from first hand experience. And great customer service can be hard to find these days, but not at BPS. The other great thing at BPS is their shipping. All orders over $40 ship for FREE. All other orders ship for a flat fee of $9.95. Anywhere in the continental USA! So that is a win/win for everyone. There is one small catch, but it really is a plus in the end. To make it so BPS can have fair margins, I’ve had to bump the sauce prices up a little bit. But on my site I have lowered the shipping rates from $1-$2 so you will see a very minimal change if any. But over at the BPS store, you will be saving on shipping all over the place so you will actually be getting more bang for your buck on every order. So in the end it’s a plus for our customers. If you have any questions please email or call me. Thank you SO MUCH to everyone who has ordered and for all of the great feedback. It’s been amazing so far, and we want to keep it going! And please still order from us here at Swamp Boys every now and then. We like hearing from you and Amy loves filling orders!